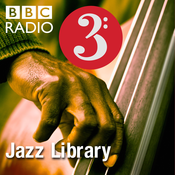 In the final edition of the present series of Jazz Library, Alyn Shipton presents archive interviews with Kenny Baker, Vic Lewis, Coleridge Goode and Annie Ross in which they select some highlights of British jazz records from the 1930s to the 1960s, from Chicagoan-style Dixieland to free jazz. Alyn Shipton selects the most enduring records from vibraphonist Milt Jackson's extensive catalogue, with the help of an archive interview with Jackson himself. Alan Skidmore is a legendary figure in British jazz and one of its truly individual saxophone voices. To celebrate his imminent 70th birthday, he joins Alyn Shipton to select some of his finest recordings, ranging from work with John Mayall and Eric Clapton to the experimental bands SOS and SOH. He also discusses his work with African musicians and his lifelong love for the music of John Coltrane. From his early recordings with the Bill Evans trio in the 1950s, Paul Motian remained in the very highest echelons of jazz until his death in November 2011. His former colleague, the saxophonist Martin Speake, who worked with Motian on record and in concert, joins Alyn Shipton for a selection of the essential discs by this most innovative and influential of percussionists. As well as work with Evans, the programme includes pieces by Keith Jarrett, the trio with Joe Lovano and Bill Frisell, and Motian's own Electric Bebop Band. Bruce Boyd Raeburn joins Alyn Shipton to select some unusual examples of the original works of his jazz bandleader father, Boyd Raeburn.